Mrs. Beverly Lois Woller, age 86, passed away Friday, November 16, 2018. She was born in Lakeview, Michigan on December 11, 1931 to William & Mildred (Beagle) Hoxie and married Willard Woller on April 12, 1952. 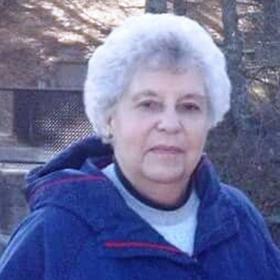 Beverly was a life-long member of Community United Methodist Church and enjoyed watching the Tigers and spending time outside in the summer. Son, Ken (Sueann) Woller of Norton Shores; grandchildren, Chelsea (Tommy) Roberts, Alec Kenny, Josh (Tracy) Vokal; great-grandchildren, Sadie, Ian & Chloe; twin brother, Bernard Hoxie; sister, Marilyn Cowles; and many nieces & nephews. She was preceded in death by her parents; husband, Willard Woller on December 14, 2017 and brother, William Hoxie. Tuesday, November 27, 2018, 11:00 AM with visitation one hour prior to the service at Community United Methodist Church with Rev. Jeremy Williams officiating. Internment in Laketon Township Cemetery. MEMORIAL: Community United Methodist Church or American Cancer Society.